Susan Day is a gifted Australian Author and Editor, “an avid blogger and a chocolate lover”. Susan is the creative mind and the force behind Mypuppyclub.net, Astro’s Adventures Book Club, Astro’s Adventures Books, a website for grand-parents as well as being the author of the book Top 10 Things Happy Grandparents Never Regret Doing. Susan visited my blog last year, you can read her thoughts on why books make best gifts here. 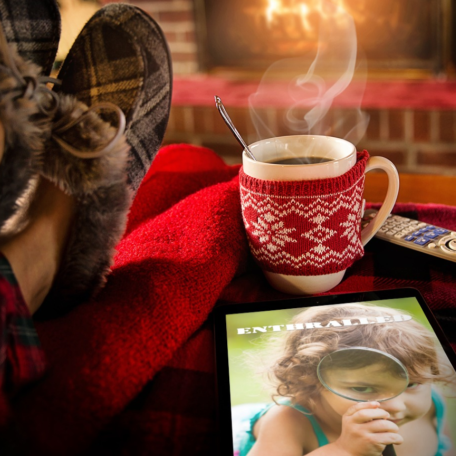 Susan Day is also the head of the Enthralled Magazine , “put together by a bunch of authors, writers and graphic designers who have a passion for sharing everything and anything to do with writing”. Susan, why did you create a magazine for authors and writers? To be honest I was part of a group of authors who shared articles each month in what was loosely called a magazine. However, the end product was very disappointing. It was difficult to read because it was just a web page with a black background and white writing. There was no opportunity for authors to share links to their websites, social media or their books. I thought there must be a better way of doing this. I had seen online magazines and once the idea began to grow and develop it picked up momentum. After a lot of research, and positive encouragement from other authors, I put together the first issue in January 2018. I wanted to create a place for writers and authors to share their experiences. I wanted them to be able to feel safe to share how they felt about their publishing experience, and to celebrate what it means to be a writer and an author. Where did the name enthralled come from? Like many ideas the name for the magazine seem to come from nowhere. However, it just seem to be the perfect word for the writing and reading experience. Authors and writers are enthralled with their work, they have deep relationships with their characters and an even deeper emotional connection with the story itself. As well, readers are often enthralled by the story they are reading. How many times have you heard of readers say I couldn’t put this down I had to keep reading until the end. Some people said the magazine should have a name that reflects its readership, “authors” or “writers” for example. I wanted this magazine to have a name that encapsulated all that was wonderful and creative about the writing process oh, and of course the experience of reading a fabulous book, poem or story. Is Enthralled a magazine for authors and writers only to share their stories and poems? 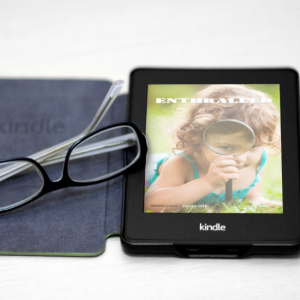 Enthralled magazine was created for authors and writers to share their experiences. It’s more a platform for sharing knowledge and technical skills. For example, we are currently running a four-part series on topics authors can blogger about. Other articles include how one author’s book is being turned into a movie – that’s in issue one. Also, how one famous Australian author plans to celebrate the 40th anniversary of his book – that’s in issue two. There are some stories and poems which add to the diversity of the content of the magazine. As well, each year I hope to create a special edition of Enthralled magazine that celebrates the creative talents of how authors and writers. This will be a bumper issue that will include stories and poems only. It will not have any articles. What do you hope to achieve with Enthralled magazine? I hope to achieve greater sharing of the power and intrigue writing and publishing provides to us all. 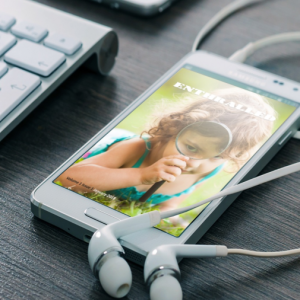 Enthralled was created to give authors the power to share their knowledge and experiences. I hope in the future that it is shared and amongst of thousands of people because we all have a story to share and we can all learn from each other. I also wanted to create something that was truly beautiful. Something that people would just love to read and treasure. Some people have call the magazine “brilliant” and “precious”. People have said that the images are stunning. I would take a long time choosing the images to match the articles and make sure they look amazing in the E magazine format. Where can people see a copy and how much does it cost? 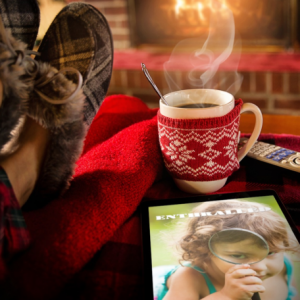 Enthralled magazine is free and costs nothing to access or share. It is supported by the generous donations of its readers, subscribers, and advertising. People can donate as little as they want. Donations and subscriptions are part of the generous culture I want to cultivate, and are more than just money offered to help pay for the running of the magazine. At the moment, however, Enthralled magazine is more about sharing a passion for writing and a love of the written word. It’s also a great place to meet new authors and see what they are doing. Where can people find out more about Enthralled magazine? Anyone who is interested in reading or even contributing to Enthralled is more a welcome to visit the website. I have set up a website and a Facebook page.